It seems that one council did the opposite and has even painted white lines over the path. Despite Councils across the country could soon be fining people for parking on the pavement with a £70 FINE for parking on kerbs. The Local Government Association (LGA), which represents 370 English and Welsh councils, says authorities should be allowed to stop drivers leaving their cars mounted on kerbs, paths and verges. The Parking Shop that the road used to be parking just down on one side. But since ownership of cars has increased and the demand for more space by residents who are paying for permits. The two way road is so narrow that it makes it very difficult for cars to pass, as no where to pull in to let the other driver by. This is done in some cases like this, such as, Rose Gardens where there was a bend that had need to still be parked on. 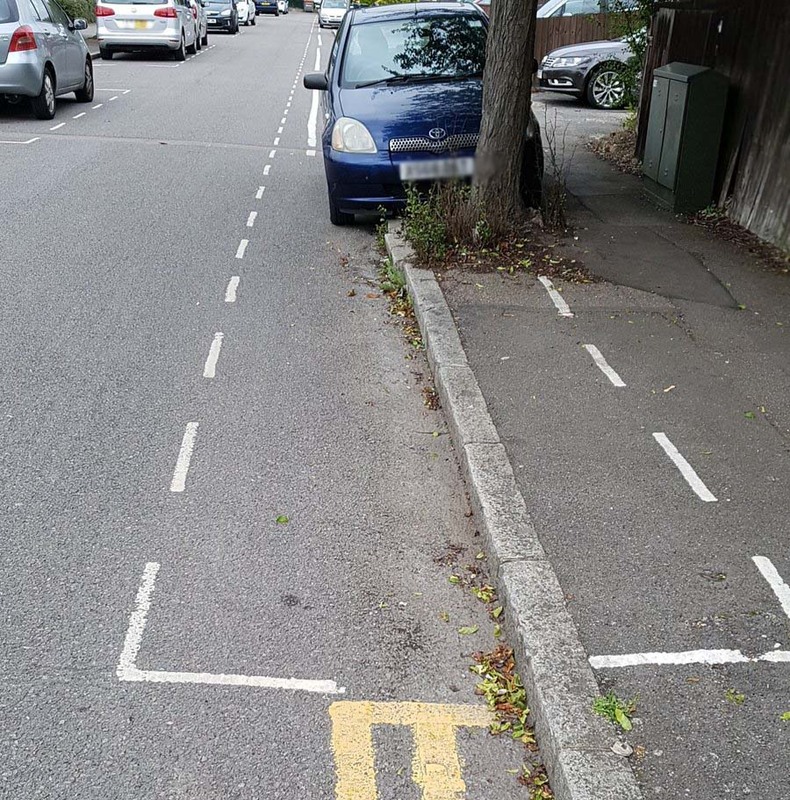 This still allows enough space for pedestrians and pushchairs. Whilst also if the need to get a fire engine down their in an emergency.